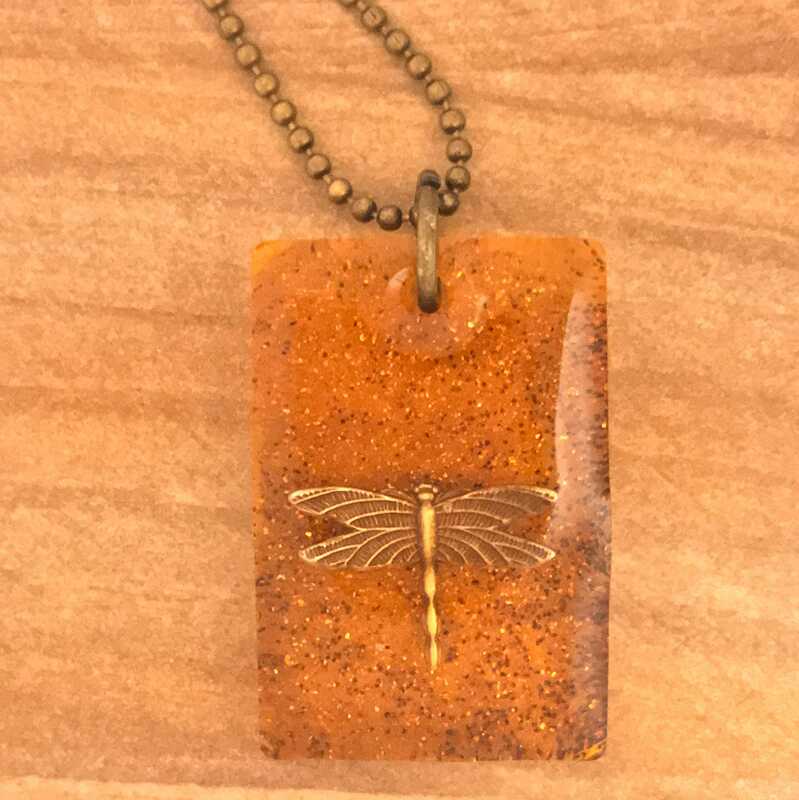 Style 1" Round [Sold out] 1" Square Rectangle 1.2x7/8"
Many people associate the dragonfly with prosperity, harmony and as a good luck charm. 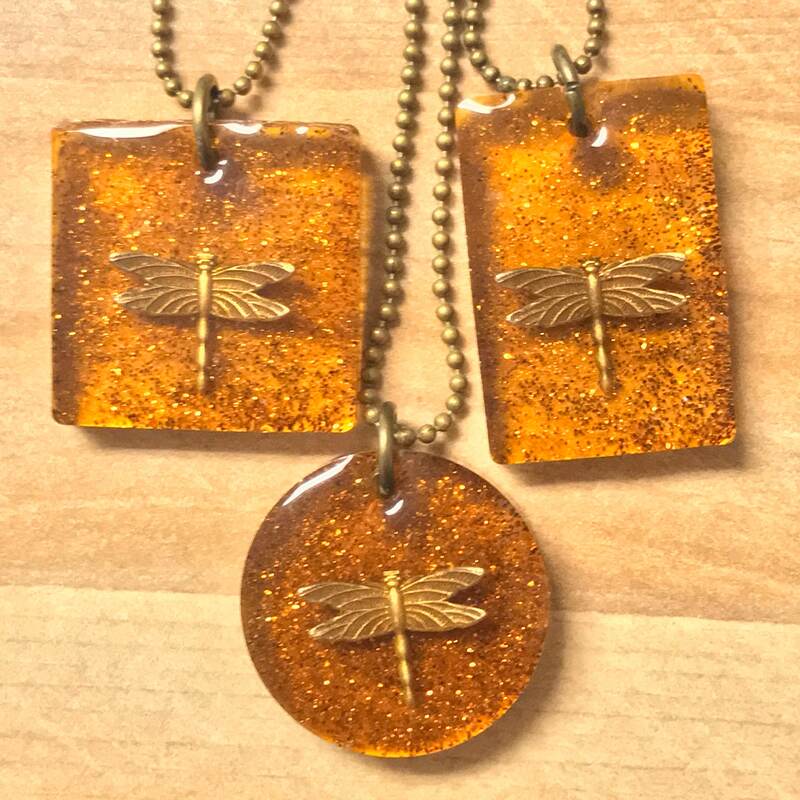 I have round and square and rectangle with the tiny dragonfly suspended in Amber coloured resin. They are 1" tall. 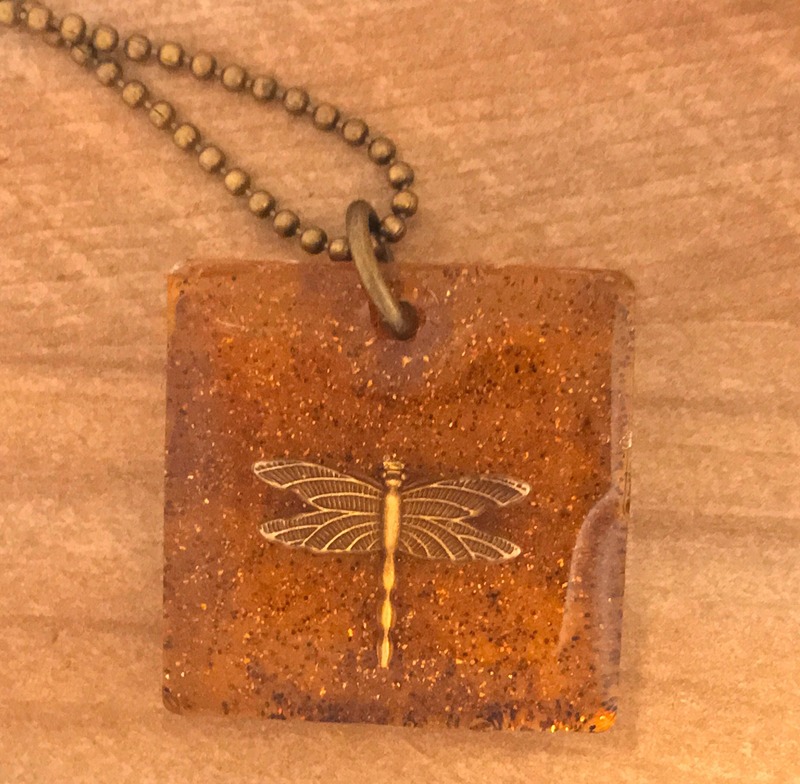 Rectangle is 1.2" tall by 7/8" wide. 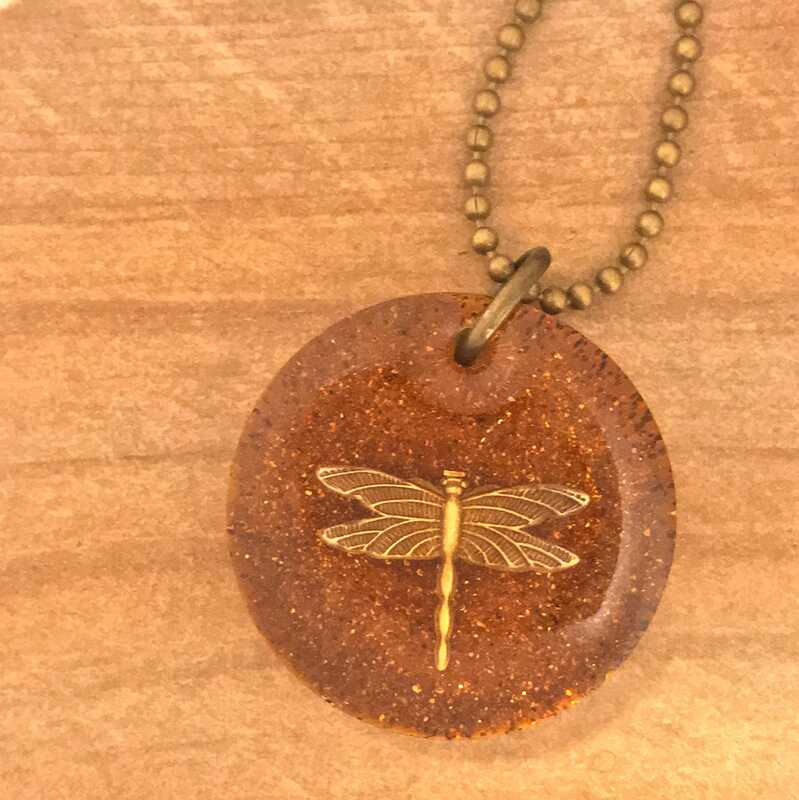 They come as shown with a brass jump ring and 20" antique TINY ball chain with lobster clasp. 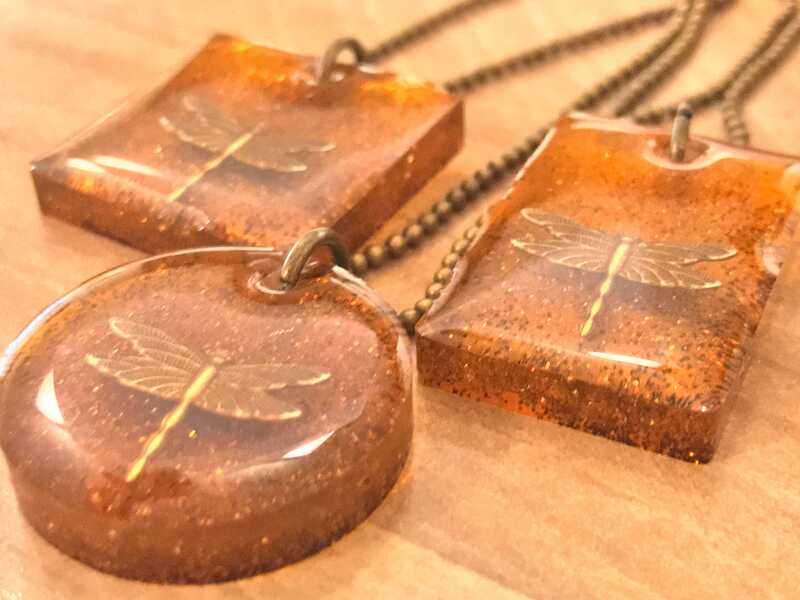 Each one is unique and they will have slight differences due to them being made by hand but are shown in the photos.